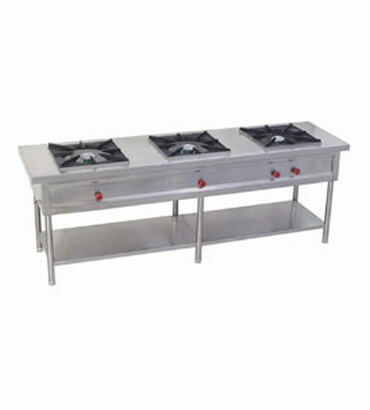 Three Burner Range Manufacturer in India, Three Burner Range Supplier in India, Three Burner Range in India. We are a well known and a name of trust for manufacturing and supplying three burner stove/range in India for various industrial applications. We pick fine quality of raw materials of steel with latest technological inputs to manufacture our glorious range. These burners are provided with deep trays with M.S. angular frame work, heavy duty grid with quality gas burner and control valves.